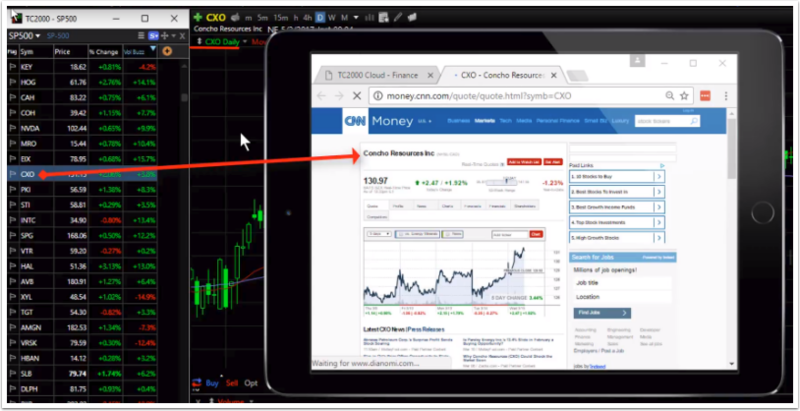 Sync the TC2000 active symbol (currently viewed symbol) to one or more of the major financial websites. Each time a new symbol is selected in TC2000, the financial website(s) will change to that symbol automatically. This can be done across devices such as a tablet or smart phone. Here is how. 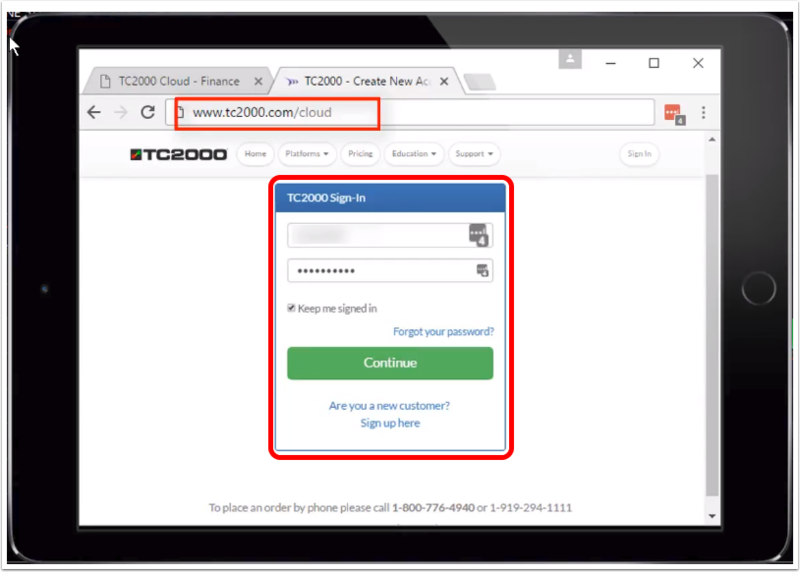 The first visit to this URL on a device requires sign-in using the appropriate TC2000 username and password. 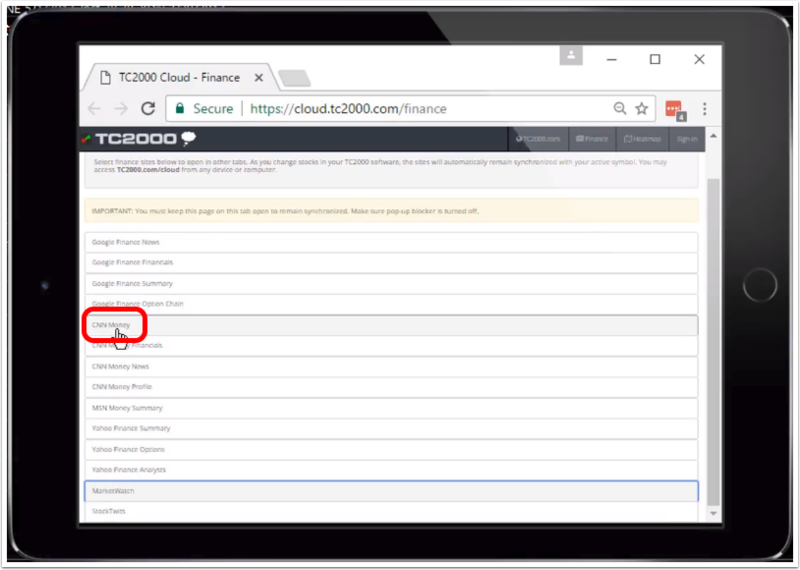 Subsequent visits on that device should log in automatically if Keep me signed in is checked..
As you change symbols in the desktop application, the symbol in the finance site on the mobile device browser should change to the same symbol.